Walking into a spearfishing store is overwhelming. Especially if you’re new to spearfishing. There’s so many shiny new toys, you don’t know where to look. You just want to buy the best speargun for beginners, but then you notice the top-tier spearguns. Or the price tag on the discounts in the sales bin and you’re torn. 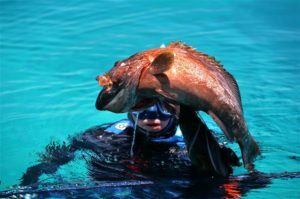 What spearfishing brands are actually any good? And you’ve got the sales rep trying to push you to decide. But you don’t know what the heck to buy. 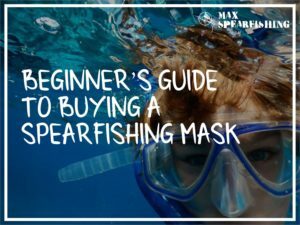 The amount of spearfishing gear you need as a beginner is a lot. So, let’s stick to the basics. First, you need to get yourself a speargun. But there’s probably more than 30 or 40 options now, not to mention sizes, and different rigging setups. So, we’ll just cut to the chase. This year we ran a series of tests on most of the spearguns you’re looking at right now in the store. We also asked a whole bunch of professional divers and experts in the industry their thoughts. 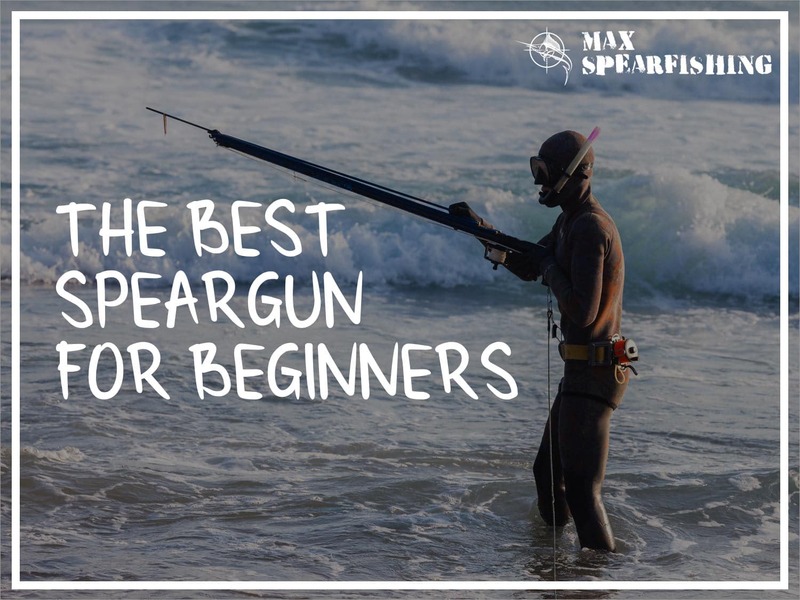 To be able to recommend to you the best speargun for beginners. 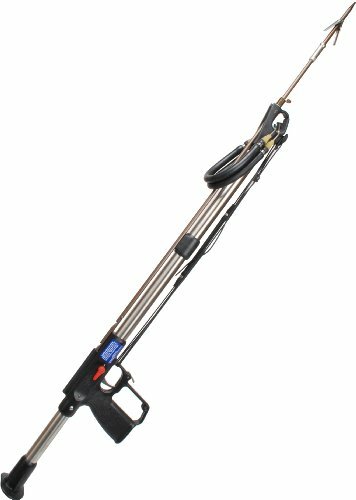 As someone new to the sport you can’t go wrong with the AB Biller Stainless Steel Pro Speargun. 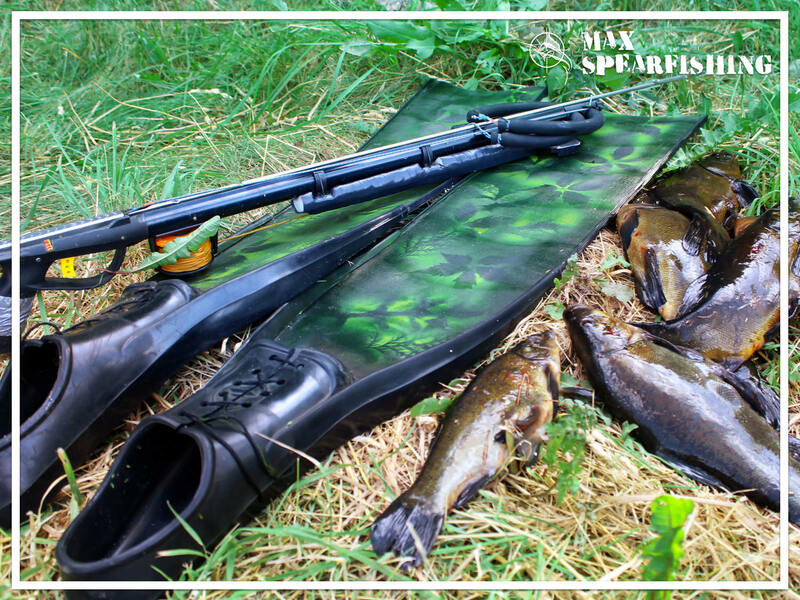 It’s the perfect gun, combining value for money with real quality components to ensure you’re buying a speargun that’ll last season after season. Which is perfect if you’re only going to be spearfishing during the summers when you’ve time off work. It shoots straight and accurately straight out of the box, and you’ll have no trouble loading it or bringing it up to target a fish. AB Biller SS48 Stainless Steel Professional Speargun, 48"
I’m a big fan of Rob Allen spearguns. A South African brand, they’ve been designed for deadly power while producing accurate shots again, and again and again. 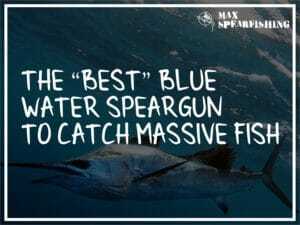 They test these freediving with some of the biggest pelagics you can catch in the water, but it’s also one of the best spearguns for beginners as it’s just so versatile. You can use this shore diving on a reef in just a few feet of water, or jumping off a boat offshore with your mates. It’s a great buy, but I do need to mention the railgun design (which gives the power) is also a little noisier in the water. It’s also the most expensive of the three spearguns, but it’ll last you season after season. Just make sure you buy the 110cm or 120cm model. When price is the biggest concern I get it. Dropping a few hundred dollars on a speargun is a big move for the budget-conscious. 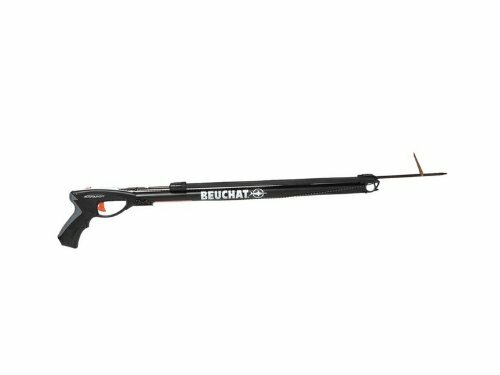 If you’re looking for value for money, you can’t go wrong with the Beuchat Espadon Sport. The trigger mechanism is stainless steel, and the speargun can accept up to two 16mm bands for a little extra power. It comes with a 6mm shaft, and is ready to go straight out of the box. You’ll be out on the reef in no time. 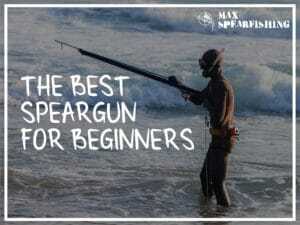 Hope this helps you to choose the best speargun for beginners, but if you have any questions at all drop me a line. 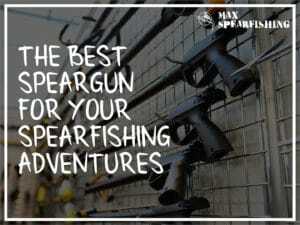 I’d love to help you find the perfect speargun. Hey there. 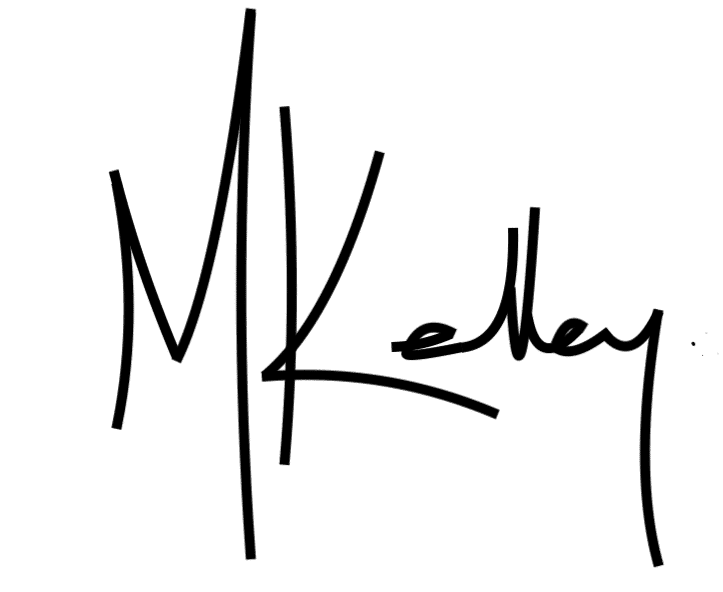 I’m Max Kelley. I love spearfishing, and over the last 30 years I’ve spent every chance I could get in the ocean, chasing my next feed of fish. I’ve tried and tested more spearguns than I could count, and I’d like to help you understand a little about what it takes to choosing the right speargun. 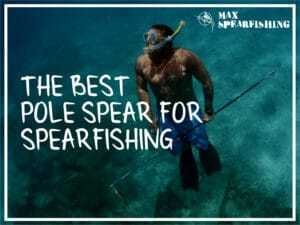 Whether you’re planning to swim out to some rocks from the beach, or you’ve got a boat to go offshore, I’d like to share a few things with you to help you choose the best speargun for a beginner. We’re going to run through this real quick, just so you’ve got a little background before we jump into the next sections. Essentially, a speargun is just a tool that shoots a spear underwater. You take it with you on a dive, and you can start hunting the fish you come across. There are air-powered models (known as pneumatic spearguns) and banded models that work more like a slingshot. For a beginner, I’d recommend a banded speargun. There’s much less that can go wrong in the mechanics, and they’re a little easier to use. You can expect an effective range of anywhere from 3 to 15+ feet with your speargun, which really depends on how much power the gun can produce. The length of the barrel, and the number of bands your using will have the biggest influencer, but small factors like the width of the shaft will also play a role. Now your spear is attached to the speargun with a length of line. After you take a shot, this is what stops the fish swimming away with your spear. Though you will need to hang onto the gun. To reload you simply activate the safety, click the shaft back into place, wrap the line back on your gun, and pull the bands tight. There’ll be spots cut into the shaft for the wishbones (the small piece of metal that connects the two ends of the bands) to fit into. Then you’re good to go and take a shot. When you’re looking for the best speargun for beginners, one of the most critical decisions you need to make is where you’ll be using it. Because it will influencer the length you need to buy. 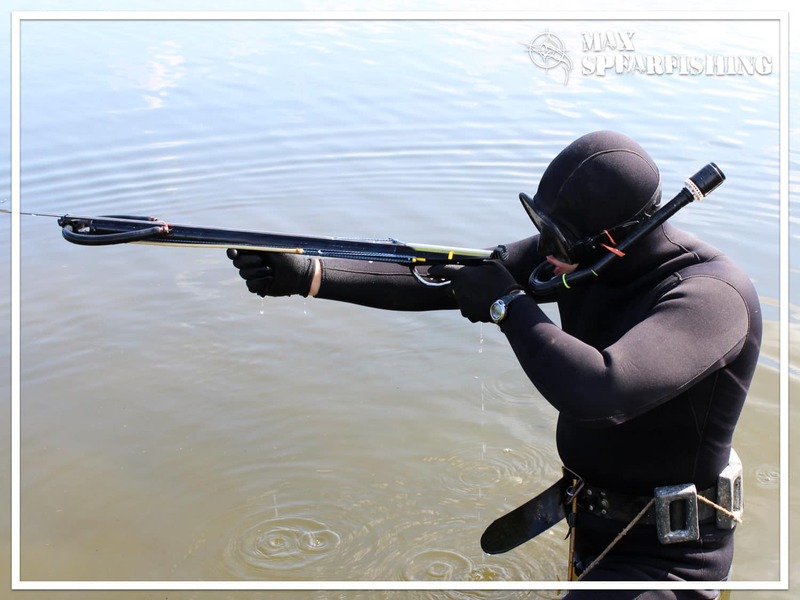 Generally, there’s three types of spearfishing. Cave diving. You’re going to be swimming very close to a reef and taking shots at the fish hiding in under the ledges and cracks. You don’t need a whole lot of range, so you’re probably going to buy a shorter gun that’s under the 80cm mark. Reef diving. When you’re kicking around on a deeper reef and start taking longer dives, targeting slightly bigger fish, and needing a little more distance in your shots, my advice is to look for a speargun in the 100cm to 120cm range. 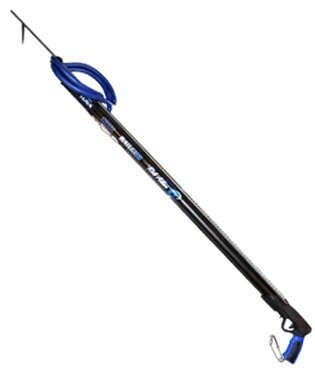 For a beginner, this is the length of speargun I’d recommend to buy, as you can always use your speargun for cave diving (and even pushing out into open water diving). Open water diving. Here’s where things start to get a little crazy. The photo’s you’ve seen on Instagram with big sailfish, blue fin tuna and the like are from divers going very deep. To tackle the distances needed, and have enough power to actually take down one of these monsters of the deep you need a speargun with multiple rubbers. Something that’s 140+ cm or more, to ensure you don’t miss a shot. Ultimately, the best speargun for beginners is a versatile weapon that can be used in all three of these situations (even though it may not be perfect in each), and is why I recommend finding a speargun in the 100 to 120cm range. You’ll hear these called both spears and shafts, and come in three different types. There’s the pure stainless steel, there’s galvanized options, and the one that you should buy, the spring (hardened) stainless steel. It combines the strength of the galvanized shaft with the corrosion-resistant abilities of stainless steel. But you also need to consider the size of the shaft. Depending on the speargun you buy it’ll have a certain range of shaft sizes it can accommodate, the most common range from 6.5mm to 9mm. The thinner versions are usually present on smaller spearguns for targeting smaller fish, and they get thicker as the size of the speargun increases. A thinner shaft will be faster in the water but it may lack less “punch” so my advice is to find the middle ground.For those new to the sport or wanting a versatile speargun, I’d opt for an 8mm shaft. It’s what the AB Biller Stainless Steel Pro comes stock with, and is a nice balance between strength and speed. Oh, and make sure it’s got a threaded tip for changing out the spear tips. You’ll most probably hit a few rocks while you’re learning to spearfish and this way you can just replace the tip, not the whole shaft. Things can start to feel like you’re going down the rabbit hole now. But when you’re buying a speargun as a beginner I recommend keeping it versatile. You want a single-point tip (not a pronged speartip), that’s got one of two designs. The tri-cut option is exactly how it sounds like, and is great if you’re going after thick-skinned fish with big scales. 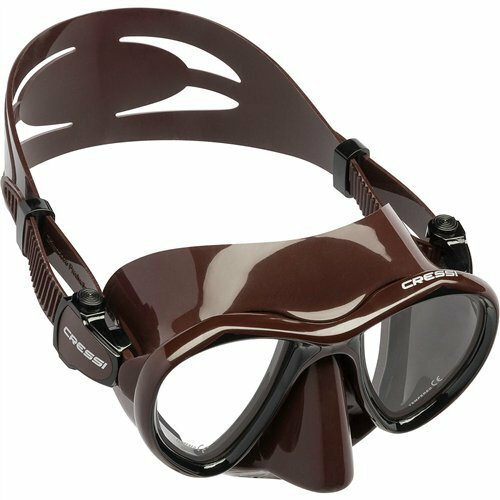 The pencil-nose tip is the option I’d recommend, it’s perfect for small-to-mid sized reef fish. Just steer clear from any other choices now. So long as your tip has a flopper (single or double is fine), you don’t need anything else to start shooting fish. For a beginner learning how to spearfish I’d advise against buying a beautiful wooden speargun. When you’re looking at spearguns at this length (100 to 120cm) the stock of the barrel is mostly just aesthetic, so pick the one you like best. Stainless steel is going to be the best “value for money” choice, and is one of the reasons we chose the AB Biller Stainless Steel Pro as our editor’s choice for best speargun. If you look closely in the store you’ll notice there’s a few different variations of the handle on a speargun. Some have a lovely molded pistol grip, while others are far more simplistic. My advice is to try them out in your hand, and see which is most comfortable. You want to be able to keep hold of your gun for long periods of time, when you’re diving or if you’re fighting with a fish on the other end of it. It needs to be easy to hold on to. This is rather important, as there are more and more spearguns flooding our markets from cheaper overseas locations. You need a safe trigger mechanism. Otherwise you risk misfiring your speargun. Which means the shaft “fires” without you having pulled the trigger. Sometimes it’s because of a fault within the trigger, other times it’s due to there being too much tension on the shaft. What’s scary though is spearguns with plastic trigger mechanisms. These will wear, and eventually misfire. I guarantee it. Which could spell disaster for anyone you’re diving with. For putting a little power into your shots, there’s two things you need to know. The length of the rubber on your speargun, and it’s diameter. 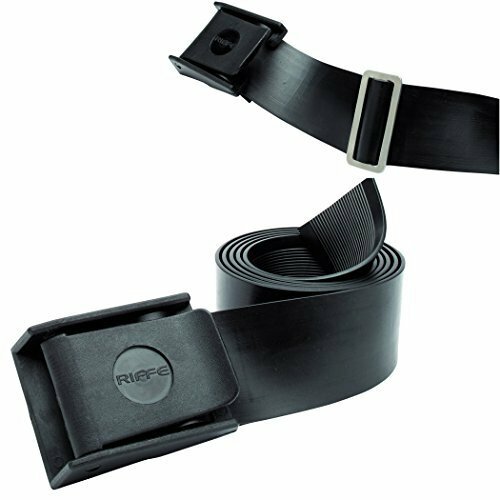 Thicker bands equal more power, with the most common sizes being 9/16′ and 5/8′. You will get more power with a thicker band. You’ll also be able to give your speargun a boost by adding a second band. And then by shortening them. 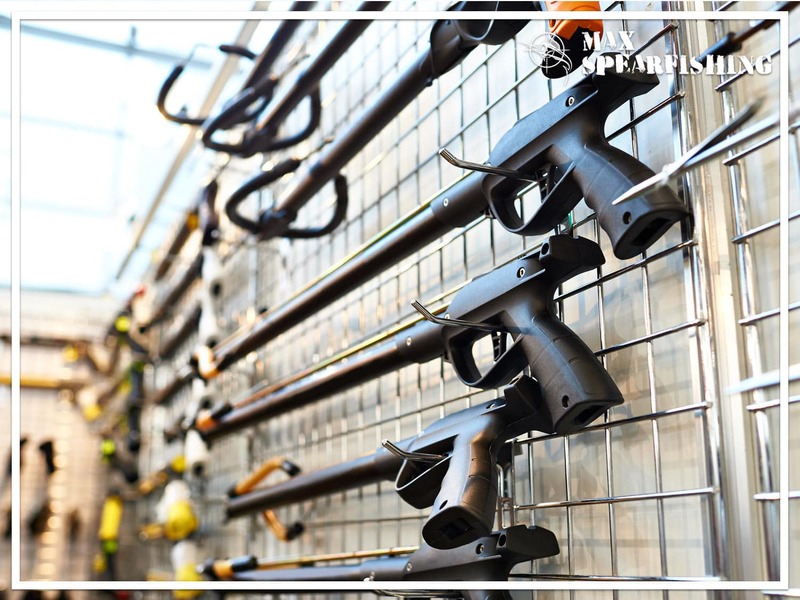 This is known as overloading your speargun, and is mostly safe, so long as the trigger mechanism and the safety can withstand the tension. It’s also why it’s important to get a speargun that has a stainless-steel trigger mechanism. 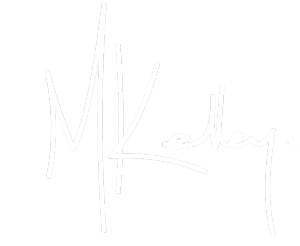 The ends of the bands will connect through a wishbone, which is either a length of cable, cord or metal that is inserted into the rubber and then tied off. Your wishbones are what “clicks” into the slots in the shaft to load your speargun. Once you start getting into the details you’ll notice there’s both open and closed muzzle designs for different spearguns. Most spearos will have a preference. Open muzzles are good because you can see all the way down your shaft which helps to aim, and they will rattle less and make less noise when you shoot. But they can be more difficult to reload. Personally, I prefer a closed muzzle. In all the testing we did of these spearguns the closed muzzle was the clear winner, providing a little more guidance so you’re getting more accurate shots, again and again. We mentioned earlier about the spear connecting to your gun by a length of line. This is your shooting line, and it serves to stop a fish running off with your spear if you happen to make a bad shot and it’s not quite dead. Most spearos use monofilament for their shooting line, but for smaller fish a nylon line will be just fine. I actually like thicker shooting line as it’s less prone to getting tangled, which is great when you’re starting out. For a beginner, you don’t need to worry about other types of rigs at this stage. But to go over it quickly, there’s two other setups. A reel mounted on your speargun can make it easier to bring a larger fish in. And many people will rig larger spearguns with a detachable setup that hooks into their float line. This lets them target big fish like a wahoo or blue fin tuna without worrying they’ll have their speargun pulled right out of their hands. All they need to do is follow the float to get the fish. 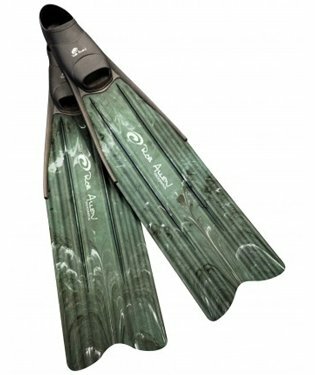 Once you’ve got these sorted, you’re well on your way to finding the best speargun. And that’s something else I love about this sport. Buying the gear won’t set you back a fortune. 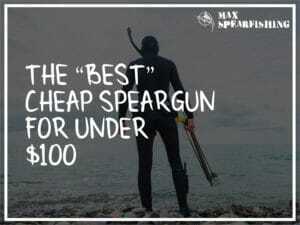 Of course, it can get pricey as you start looking at top-tier brands and guns, but you can really find a great speargun for just a couple of hundred dollars. Think of it like an investment. What other hobby lets you have an adventure, and bring home dinner? If you’ve got any questions, comments, or would just like to say hi. Drop me a line. 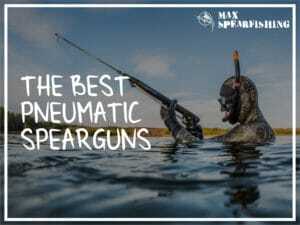 I’d love to help you find the perfect speargun, and I hope my guide to the best speargun for beginners has helped you find the right gun. So go buy it. There’s nothing better than the calm and the quiet you experience on a dive, and nothing compares to the thrill of landing your first fish.